6 Best Telescope Reviews of 2018 | For Planets, Galaxies & Deep Space! A telescope is a wonderful instrument that can acquaint you with the wonders of far-flung nebulae, glimmering galaxies, and the dramatic topography of Mars or the Moon. But there are hundreds of telescopes on the market, and the choice can be overwhelming. Which brands are reputable? Which features are actually important, and which are just marketing ploys? This guide is here to cut through some of that confusion and recommend the very best telescopes for astronomers of all levels. I’ll also explain, in detail, what you need to know about aperture, focal length, ratio, magnification, and more. For example, beginners should look no further than the Orion StarBlast. You’ll experience awe-inspiring sights like the rings of Saturn and moons of Jupiter, without breaking the bank. Whereas, more experienced astronomers looking to upgrade, will love the Orion SkyQuest. With crystal-clear imagery and the ability to automatically locate over 42,000 celestial objects in it’s database, you can experience the wonders of deep space at the push of a button. This Orion reflector telescope provides excellent value: crisp images and ease of use (perfect for total beginners or kids), along with a very reasonable price tag. If you’re looking for a user-friendly reflector telescope, or perhaps in the market for a telescope for your kids, then the Orion 10015 StarBlast makes an excellent choice. First off, it arrives pre-assembled, so you won’t be fussing around with tons of parts. This telescope has a good-sized 4.5” (114mm) aperture. I’ll explain more about aperture below, but in general, a wider aperture allows more light in, which leads to better image-quality. Ideally, you should look for a telescope with an aperture of at least 2.76” (70mm), which the Orion StarBlast exceeds. Focal length is 450mm (focal ratio f/4)—I’ll also get more into detail on what focal length means and why it matters in my buying guide below. You’ll be able to get nice, crisp images with this telescope: Finding the Moon is quite simple, and you can even see its craters up close. You can also use the StarBlast to find the rings of Saturn and the moons of Jupiter, among other things! Another awesome feature of this telescope is its portability. It weighs around 13 pounds and is fairly compact, so you can easily take it outside whenever you like. While it might not be the best on long backpacking trips, it certainly is a good option for car camping expeditions. Portability is a big plus especially if you live in a city with lots of light pollution. The ability to transport your telescope to somewhere dark and remote ups your odds of finding galaxies and nebulae. The Orion StarBlast comes with Starry Night astronomy software, an EZ Finder II reflex sight (to help you locate objects—more on finders below! ), an eyepiece rack, collimation cap, and two Explorer II 1.25” Kellner eyepieces (17mm and 6mm). This classic Dobsonian has a large, 8” aperture that collects tons of light—yielding incredibly clear and detailed images and allowing you to see faraway galaxies, star clusters, and nebulae. The Orion 8945 SkyQuest’s 8” (203mm) aperture allows for excellent light collection, which creates detailed, sharp images. This large aperture helps brighten up dim, faint objects deep in the night sky. This telescope has a 1200mm focal length (focal ratio f/5.9). As a Dobsonian telescope, it’s a type of reflector, meaning that it uses a mirror as its main objective (rather than a lens). You’ll enjoy all sorts of wonderful images, including the craters and mountains of the Moon, the moons of Jupiter, and Saturn’s rings. And again, that large aperture is great for finding galaxies, star clusters, and nebulae. The classic Dobsonian construction makes it simple and easy to use. Its solid base gives great stability so you can relax and enjoy the views without your telescope moving or shaking. Another major advantage of the Orion 8945 is its excellent value: You receive incredibly crisp views and a generous aperture for a reasonable price. One potential drawback is that this telescope is fairly large and hefty (weighing in at around 30 pounds). It is therefore best suited for at-home use, whether on your porch or in your backyard. This refractor telescope offers great value, crisp images, and the ability to view faraway details such as the cloud bands of Jupiter, the rings of Saturn, and the Orion Nebula. The Celestron refractor telescope features an aperture of 4” (102mm) and focal length of 660mm (focal ratio f/6.5). Its relatively large aperture allows for good light collection which leads to fantastic image quality, even in areas with light pollution. With some practice, this telescope can provide sharp, detailed images of the Moon, as well as good views of Jupiter, Saturn and its rings, and even some trickier objects like the Orion Nebula and Andromeda Galaxy. This telescope has an erect image diagonal, meaning that it can be used for both celestial and terrestrial viewing—more on this in the buying guide! Weighing in at around 14 pounds, it’s not the lightest-weight option on my list. However, this weight is still definitely manageable. It’s easy to bring your telescope outside and quite easy to bring along in your car. And again, as a refractor, this telescope doesn’t need to be regularly aligned and adjusted (collimated) the same way a reflector telescope does. I’ll get more into detail on the different types of telescopes below, but some people prefer the simplicity and lower maintenance of a good refractor. The Celestron comes with 20mm and 10mm eyepieces, a finderscope, and Starry Night software. All in all, it’s a quality telescope that will open your eyes to far off star clusters, planets, moons, and more. A superb all-around reflector telescope with a 6” aperture, the Orion 10016 StarBlast combines user-friendliness and relative portability with crystal clear images. The Orion 10016 StarBlast reflector telescope is a favorite of mine for its versatility and user-friendliness. It boasts a 6” (152mm) aperture, which is plenty large enough to collect light and produce sharp images. You can observe the Moon and multiple planets, as well as dimmer, deep-sky objects. This telescope has a focal length of 750mm (focal ratio f/5). This focal ratio makes it a pretty “fast” telescope so it’s good for providing you a wider field of vision, though it does need to be collimated carefully for the best-quality images. Read my section below on focal length and ratio to learn more. One major benefit to this wide field of view: It’s easier to locate and track objects through the sky, since you’ll be seeing a slightly larger slice of sky. Your telescope’s base will arrive pre-assembled, saving you time and allowing you to get going right away. The tabletop base is super sturdy and allows for comfortable viewing. 25mm and 10mm eyepieces, an EZ Finder II, eyepiece rack, and Starry Night software are included with this telescope. Weighing around 23.5 pounds, this telescope is reasonably portable for at-home use or even car camping. All in all, the Orion 10016 StarBlast makes a superb, user-friendly first telescope, a great second telescope for a beginner hoping to upgrade, or a worthwhile option for an experienced astronomer who wants something simple and portable while still maintaining a high level of quality. This powerful GoTo Dobsonian telescope is fully motorized and capable of locating and tracking any of 42,000 celestial objects. It combines ease of use with breathtaking images. If you’re serious about astronomy and want to take this fascinating hobby a step further, the Orion 10135 SkyQuest XT10g, a computerized Dobsonian telescope, is my top choice. It certainly isn’t the cheapest model out there, but it provides excellent function and value. It features a generous 10” (254mm) aperture, the largest of any telescope on this list. Its large aperture makes it excellent at collecting light and providing crystal clear, intricately detailed images, as well as great views of distant galaxies and nebulae. If you’re interested in viewing fainter deep-sky phenomena, this is my top choice. Focal length is 1200mm and focal ratio f/4.7. This motor-driven telescope is very easy to use once you’ve got the hang of it. As a reflector, it will need to be aligned before use. The telescope uses GoTo technology, so it’s linked to a database containing 42,000 objects. At the mere push of a button, you can direct this telescope to focus on any of them. Plus, it follows their movements automatically to keep them centered in the field of view, even as their position in the night sky changes. I really love this scope’s GoTo function: It solves the problem of having to continually nudge or adjust the telescope to keep something in the field of vision. With GoTo, you can simply lock onto an object, relax, and enjoy. Keep in mind that the Orion 10135 is on the larger side and weighs in at well over 50 pounds. I absolutely love this telescope, but the one thing it doesn’t provide is super portability! Nevertheless, you can separate the optical tube from the mount to make it easier to transport. This telescope comes with a 2” dual-speed (11:1) Crayford focuser, 28mm and 12.5mm eyepieces, EX Finder II reflex sight, eyepiece rack, collimation cap, and Starry Night software. The 12V power supply needed to operate the motor is sold separately. This refractor telescope can be used to view the Moon and planets. It’s ideal for budding astronomers on a budget, or for anyone who wants a super lightweight, portable option. This Gskyer refractor telescope features a 2.76” (70mm) aperture and focal length of 400mm (focal ratio f/5.7). The aperture is large enough to allow for a reasonable amount of light collection, which yields clear, detailed images of the Moon and allows you to view planets such as Mars, Jupiter, and Saturn. It’s a fantastic travel scope to bring along on your hiking, camping, or backpacking adventure! One cool feature is that this telescope includes a smartphone adapter and Bluetooth camera remote so you can put images on your screen and even take photos. This scope also comes with adjustable aluminum alloy tripod to hold it steady. Perhaps my favorite feature: The Gskyer is incredibly small and lightweight! It’s perfect for traveling, hiking, and camping. If you’re planning to stargaze anywhere besides your own backyard, then this telescope is worth a look. Plus, since it’s a refractor, it holds up well to travel and won’t need continual readjustment (more on this down below). The Gskyer comes with two eyepieces, a 3x Barlow lens, an aluminum alloy tripod, and a carry bag, as well as a finderscope to help you locate things more easily. Overall, it’s a great scope for the price, and even with its small size, it produces clear images of celestial bodies, especially the Moon and planets. I’ve aimed to select 6 telescopes with a range of strengths and specialties. Whether you’re looking for a reflector, a refractor, a computerized telescope, or an inexpensive option, you’ll find something that works for you. There are many factors to consider when purchasing a telescope. Up above, I’ve mentioned a number of them: aperture, focal ratio, weight, and so on. There are several main categories of telescopes: reflector telescopes, refractor telescopes, and catadioptric telescopes. Of course, there are plenty of variations and sub-groups within each category, but these are your three main options. The telescopes on the above list are reflectors and refractors, and most are very good all-around telescopes that can show you a variety of celestial bodies. That said, each kind has its strengths and limitations, so your particular interests may influence which one you ultimately pick. I’ll discuss the basics of how each works and why you might (or might not) want one. 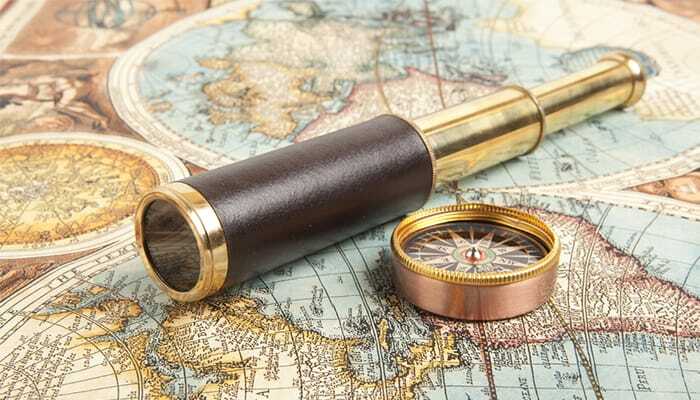 These were the first type of telescope to be made. They use a glass lens to collect and focus light. The telescope’s tube is sealed, which means that a refractor telescope is in general a little more durable and requires you to make fewer adjustments. Refractors are also great for lunar and planetary viewing. They can yield incredibly detailed close-ups of the craters of the Moon or the dramatic landscape of Mars. One main drawback of a refractor telescope is a phenomenon known as chromatic aberration, a sort of distortion in which you see colors surrounding the object you’re viewing. For instance, check out the image here of Jupiter as seen through an inexpensive refractor telescope, complete with chromatic aberration. Then compare to this image of Jupiter which has much less chromatic aberration. Issues with chromatic aberration are most common in refractor telescopes with an aperture of 4” (100mm) or greater. A larger aperture is generally a good thing, but unfortunately, it also causes complications with refractors. Telescope manufacturers can compensate for this in several ways, either by increasing the focal length of adding compensatory lenses. Of course, making all of these modifications tends to increase the cost. So, a refractor with a large aperture and all necessary corrections to prevent chromatic aberration will be outside many people’s budgets. Luckily, you can opt for a refractor with an aperture between 2.76” and 4”: wide enough to collect a good amount of light and produce clear, sharp images, but small enough to reduce chromatic aberration. Viewing planets in great detail. Providing very sharp, crisp images of relatively bright objects (like planets and the Moon). Instead of lenses, reflector telescopes use mirrors to collect and focus light. For reflectors, a bigger aperture is definitely better—and there are no issues with chromatic aberration. A large aperture on a reflector will collect lots of light and yield beautiful, detailed images. My top choice for beginners, the Orion 10015 StarBlast, is a reflector telescope with an aperture of 4.5”. My favorite reflector telescope is the Orion 10016 StarBlast, with an aperture of 6”. And the two Dobsonians on my list (the Orion 8945 SkyQuest and the Orion 10135 SkyQuest XT10g) are reflectors with apertures of 8” and 10”. Because reflectors with large apertures are great at gathering light, they help you see really far-off, dim objects in greater detail. So if you’re more into nebulae and galaxies than planets, a reflector is your clear winner. But what about the downsides of reflector telescopes? Remember how I said that a major advantage of refractors is that they are quite durable and don’t require you to frequently adjust them? Reflectors, on the other hand, do require periodic adjustment: You will need to collimate the mirror to maintain it in proper alignment. This is simply something to be aware of and should not necessarily deter you from purchasing a reflector. You can read your telescope’s instruction manual or find an online tutorial to find out how to collimate the mirror, and soon it will be second nature. Viewing dim, deep-space, and more spread out objects such as galaxies, star clusters, and nebulae. And, to put it simply, the bigger your reflector’s aperture, the better it will enable you to see these distant, faint objects, since it will collect more light. However, a larger aperture typically means a bigger, heavier, and more expensive telescope. Third, there’s the catadioptric (or compound) telescope. These telescopes use both lenses and mirrors to gather light and generate images. They are generally quite lightweight and compact and create stunning images. The main downside of catadioptric telescopes is cost. Since these designs are a bit more complicated, that tends to come with a higher price tag. However, catadioptric telescopes are fantastic, and if you’re a devoted astronomer, or simply have a larger budget, they are definitely worth considering. Should you buy a Dobsonian telescope? 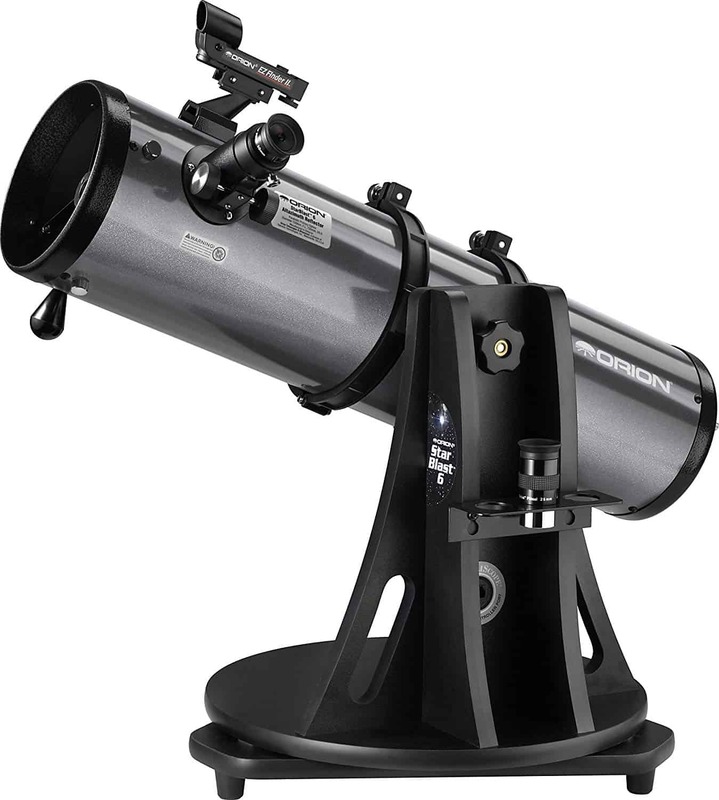 Up above, I recommended the Orion 8945 SkyQuest XT8 as my top pick for a Dobsonian telescope. But what exactly is a Dobsonian telescope, and how do you decide whether or not you want one? This type of telescope became popular during the 1960s thanks to John Dobson. Dobsonian telescopes are reflectors. They use mirrors to gather light and create images. More specifically, they are a type of Newtonian reflector telescope, involving a concave primary mirror and a flat diagonal secondary mirror. Dobsonian scopes come with a kind of altazimuth mount; basically, they’re mounted on sturdy, box-like structures. Value: In terms of aperture per dollar, Dobsonian telescopes are tough to beat. Aperture refers to your telescope’s light-collecting are; in general, the larger the aperture, the better the image. Dobsonian scopes can be built with large apertures while still maintaining moderate price tags. For instance, the Orion 8945 SkyQuest XT8 has an 8” aperture, larger than others on this list, but it remains competitively priced at around $400. Viewing dim, deep-sky objects: Dobsonian scopes are a great option for trying to spot galaxies, nebulae, and star clusters. This is due to their larger apertures and light gathering ability, which makes them quite powerful. Stability: Dobsonian mounts are very stable. Your telescope won’t move or shake around at the slightest provocation. Simplicity: These telescopes don’t have a million different parts to fiddle with. They’re pretty straightforward to set up and use. These telescopes, sometimes nicknamed “light buckets,” are an excellent choice for many people. They’re very popular with beginner and amateur astronomers, and for good reason. Now, on to the downsides. To get a bigger aperture (as available in many Dobsonian models), you’ll pretty much have to get a bigger telescope. So if your primary concern is portability, then you might want to look elsewhere. Note that the Orion 8945 SkyQuest XT8 Classic Dobsonian is about 30 pounds. That’s not huge, but it’s also not tiny. Also, due to how the altazimuth mount moves, Dobsonian telescopes typically are not the best choice if you’re interested in astrophotography. Naturally, with a higher budget, you’ll be able to purchase a more powerful telescope. However, even with a smaller budget (<$300), you should still be able to find a telescope that suits your needs. In many cases, you can find a solid, high-quality telescope at a great price, as long as you’re willing to forgo a few fancy gadgets or frills. Super low-end: (<$75): None of the entries on my list fall under the “super low-end” category, and that’s because you really can’t expect much from such a low price point unfortunately. The level of precision manufacturing that goes into designing and producing a good telescope simply results in a higher price tag. Budget ($75-$150): The least expensive contender on my list is the Gskyer refractor telescope, which has a 2.76” (70mm) aperture. This is a decent size aperture, though it’s not particularly large. I generally recommend 70mm as the smallest size aperture you would want. You can use this telescope to view the Moon close-up and spot planets. However, you probably won’t be seeing fainter, further away things like nebulae or galaxies. On the bright side, less expensive (and less powerful) telescopes are generally smaller—and this is a great thing if you want convenience and portability. At under 6 pounds, the Gskyer is the lightest option on my list. So if you’re looking for a solid telescope that you can take camping, then a low budget may be all you really need. Good views of the Moon and planets, especially in optimal (no light pollution) conditions. Small size and excellent portability. Mid-range ($150-300): The Orion 10015 StarBlast reflector telescope, my pick for best beginner telescope, comes in at a pretty reasonable price tag. It has a 4.5” (114mm) aperture and is overall a slightly more powerful telescope than the Gskyer. You’ll be able to achieve more detailed images of the Moon and planets, and perhaps spot fainter objects if you’re lucky (and in an area with little to no light pollution). The Orion 10015 StarBlast is relatively portable at 13 pounds—so again, if you want something portable, then a modest budget might be just fine! At this price point, you’ll also find the Celestron 22065 AstroMaster refractor. At 14 pounds, it’s around the same weight as the Orion 10015, so either would provide a good deal of portability. Its 4” aperture is a bit smaller, but still plenty large enough to capture light and produce good images. The Celestron is an awesome pick for viewing the Moon and planets. Either of these telescopes would be great for a new astronomer—your choice may come down to whether you prefer a refractor or a reflector. One reason to opt for a telescope in this moderate price range is that it lets you try out a new hobby without too much financial commitment. Now, you could always buy a $25 telescope instead, but that will almost certainly end in frustration, and won’t really give you the chance to fall in love with astronomy. However, by investing $150 or $200, you can afford a good-quality, user-friendly telescope that will help you learn the ropes. Good views of the Moon and planets; possibility of locating nebulae, star clusters, and galaxies. Relatively small size and portability. High-middle range ($300-$750): Here, your options include the Orion 10016 StarBlast reflector telescope and the Orion 8945 SkyQuest XT8 Classic Dobsonian telescope. What you’ll notice about both of these is that they are bigger and more powerful, largely thanks to their bigger apertures. These two telescopes collect more light and translate that into clear, crisp, detailed images. They are also a bit larger and bulkier than the less expensive options. Excellent views of the Moon and planets, including details such as Saturn’s rings and Jupiter’s cloud bands; ability to locate fainter, more distant bodies such as nebulae and galaxies. Higher-end ($750+): Here you’ll find the Orion 10135 SkyQuest, a computerized Dobsonian model. There are two main features that set this, and other high-end models, apart from lower-priced telescopes. First, a high price often buys a bigger telescope with a larger aperture. The Orion 10135 delivers on this, with its 10” aperture, which provides images of stunning clarity, even of very distant or dim objects. Second, the computerized GoTo feature of this scope, which automates the process of locating and tracking celestial objects. This makes your stargazing hobby immensely relaxing, as you can easily view thousands of objects at leisure, without having to adjust your telescope as the night goes on. Once set up, the Orion 10135 automatically adjusts itself as needed. Once you’ve read through the instructions and gotten some experience you’ll be amazed at the full potential of this telescope. Excellent images and detailed close-ups of many celestial bodies. Advanced features such as computerized GoTo motors, encoders, and gears that allow you to locate and track thousands of celestial bodies with ease. A larger telescope; possibly a more complicated assembly. More on the higher end of the market: In this list, I’ve recommended both refractor telescopes and reflector telescopes. There’s also the third basic type I described above: catadioptric. These compound scopes tend to run expensive. However, if you want a telescope that combines lots of aperture with good portability, they are definitely worth a look. Just know that aperture + portability comes at a steep cost. There are plenty of price points far above and beyond those listed here! You can easily drop five figures on a telescope. But assuming you’re not running an astronomy organization, there’s really no need to buy the biggest, most extravagant telescope out there. This webpage shows you some side-by-side comparisons of images from low-, middle-, and high-end telescopes. As you’ll notice, even a relatively small and inexpensive telescope can yield some impressive image of the Moon! But the differences really become apparent in images of Saturn, Jupiter, and faint, deep-sky objects. You’ll increase your chances of seeing far-off objects if you are able to observe from somewhere dark, with little to no light pollution. And as I explained up above, different telescopes have different strengths. Want awesome lunar and planetary detail? Check out the Celestron 22065 AstroMaster, my top pick for a refractor telescope. Want to see faint nebulae and galaxies that are far, far away? Opt for a big reflector “light bucket,” like the Orion 8945 SkyQuest, Orion 10016 StarBlast, or Orion 10135 SkyQuest. The Sun. Obviously! You can spot the Sun with just your eyes, though you should never look directly at it without the proper protection. But with some precautions, you can check out the Sun and observe its sunspots by projecting its image onto a white screen. The Moon. Again, this one is visible with just your eyes. The Moon makes regular appearances in the daytime sky, and you’ll be sure to notice it if you only look. Satellites. The International Space Station (ISS) is quite bright, and depending on its position, you may be able to catch it during the daytime. To learn more about spotting the ISS, check out this article. Planets. Some planets, such as Venus and Jupiter, sometimes appear brightly enough to be visible in the daytime. I’ll go through each factor in turn. I’ve mentioned aperture tons of times in my reviews of all the telescopes up above. I’ve explained that in essence, a bigger aperture is a good thing, and that your telescope’s aperture is an extremely important feature. But what precisely does “aperture” mean and why does it matter? So, a bigger aperture equals more light collection. A bigger aperture also usually equals a bigger cost. Enormous professional telescopes can have truly impressive aperture sizes; think 10 meters. Obviously, this isn’t feasible for at-home amateur astronomy! Nor is it necessary. You should be able to find a telescope on the above list that provides a good balance between quality and price. When purchasing your telescope, your main focus should be on aperture size and lens quality rather than magnification. Aperture is much more important than magnification when it comes to seeing things clearly. All of the scopes listed here have at minimum an aperture of 2.76” (70mm), sufficient to produce good images. I recommend not choosing a telescope with a smaller aperture. I’ve chosen telescopes with a range of aperture sizes from 2.76” to 10”, which is a good range to consider for stargazing at home whether you’re a new or relatively experienced astronomy hobbyist. So your telescope’s aperture collects light, but then what? The light is guided into focus on a plane that is a certain distance away. How far away? That’s the focal length. You’ll also focus expressed as a focal ratio, such as f/4 or f/5. This ratio is the focal length divided by aperture. If you have a focal length of 800mm and an aperture of 100mm, then that is written as f/8. The higher the number of the f/ratio, the longer focus the telescope has. Now what does that actually mean for you on a practical level? A couple things. First, the focal length often corresponds to the length of the telescope as a whole, so a long focal length generally will mean a long telescope. Second, let’s say you have two telescopes that are equal in aperture size but with different focal lengths. The one with the longer focus will typically perform better at high magnification. Does this mean that you should be maximizing both aperture and focal length when you choose your telescope? If you most want to see distinct objects like the Moon or planets, then a high-power telescope with a long focal length is excellent. However, this kind of telescope is less ideal if you want broader views, say of the Milky Way. That’s because a high-power telescope with a long focal length will generally restrict your field of view. In other words, you can only see a little bit of the sky at a time. So, do you want a wider field of view, or do you want higher power when it comes to seeing distinct objects? Finally, remember that a bigger aperture and focal length means a bigger telescope, which you may or may not want to lug around. I’ve noted aperture sizes and focal lengths on all the telescopes up above, so you can compare them easily. Focal ratios for the above telescopes range from f/4 (on the shorter, “faster” side) to f/6.5 (a bit longer). If you especially want to focus just on long focus and high-power performance, then you may want to consider scopes at f/8 and higher. However, remember that everything has its pros and cons. In my experience, the telescopes I’ve chosen here offer the best balance: crisp and high-quality imaging with a reasonable field of vision. These telescopes fulfill the needs of most at-home astronomers, who wish to observe a variety of celestial bodies, from planets and moons to galaxies to star clusters. As I’ve mentioned, magnification is not the most important feature in a telescope. You can change magnification quite easily by changing the eyepiece on your telescope—but doing so is pointless if the aperture is not large enough. Think about when you zoom way in with a cheap digital camera. Sure, maybe you can magnify 50x, but you end up just seeing a blur. If the image quality is terrible, the value of high magnification is nil. It’s pretty much the same with telescopes. High magnification is great, but only if the image remains clear. How can the image remain clear? If enough light is entering the telescope—in other words, if the aperture is large enough. How do you determine the amount of magnification a telescope can reasonably provide? As a rough guide, you can calculate between 25x and 50x magnification for each inch of aperture. The telescope manufacturer might make claims beyond that, but those claims are dubious. So a 4.5” aperture telescope such as the Orion 10015 StarBlast should be able to handle about 225x magnification at most. If, however, you’re under sub-optimal conditions (lots of light pollution), then maybe you’ll only reasonably be able to get 110x magnification. Or if you prefer calculating in millimeters: Simply multiple the aperture size (in mm) by 2. So the 114mm aperture of the Orion 10015 StarBlast can, by this calculation, handle up to 228x magnification. That’s basically the same as the 225x maximum we got with the first calculation. By the same token, a 10” aperture telescope like the Orion 10135 SkyQuest should be good for between 250x and 500x magnification, depending on the viewing conditions. Or, if you like, multiply 254mm by 2, and you get a maximum of 508x magnification. Just how much magnification do you need? Even at “just” 50x, you should be able to see a good level of detail, including Jupiter’s moons, the rings of Saturn, and so on. At 100x or 150x magnification, with a clear and sharp image, you should see a pretty phenomenal level of detail. Also keep in mind that astronomical viewing involves different challenges from terrestrial viewing. If you’re, say, observing wildlife during the daytime, often magnification can be quite helpful: Making the animal appear larger helps you see it better. However, the challenge of astronomy is that objects often aren’t just too small; they’re also too dim or faint. This is a problem that no amount of simple magnification can fix. What can fix it is more light, which again leads us back to a larger aperture. Many people find that electric control is a true game changer, while others enjoy the process of doing everything manually. To each their own! The Orion 10135 SkyQuest is the computerized option on this list, and it’s definitely the most high-end. Its GoTo technology means that it can locate objects for you and then track them automatically. Plus, you have access to a database of 42,000 objects. This technology is a good idea if you sometimes get annoyed at having to adjust your telescope to keep an object centered in the view field. Or, if you simply would like to find numerous objects more efficiently so you can get down to enjoying the view. A small downside is that it does take some time to figure out how to use a computerized telescope to its full potential. However, your telescope should come with instructions, and you can also search for additional help online for your specific model. Although the initial learning curve may take a bit longer, you do end up saving time in the long run as your telescope is quickly, efficiently, and automatically guided to precise locations. Overall, if you’re pretty good with computers and can afford it, GoTo technology is awesome! You’ll have to decide for yourself how important portability is to you. If you plan to do most of your stargazing at home, then it may not matter so much. The biggest telescopes on this list are the two Dobsonians: the Orion 8945 SkyQuest and the Orion 10135 SkyQuest computerized telescope. At around 30 and 50 pounds, respectively, they are quite hefty, though bear in mind that they can be broken down into two main pieces (optical tube and base). Nonetheless, you probably wouldn’t want to take them camping. If portability is important to you, take a look at the Orion 10015 StarBlast, the Celestron 22065 AstroMaster, or the super-light Gskyer 70mm refractor telescope. Personally, I’m a fan of Dobsonian telescopes for their sturdy bases. Their simple movement patterns, up and down, left and right, have always felt intuitive to me. However, plenty of other people prefer tripods or other kinds of mounts. You might also consider where you plan to put your telescope. Do you need a tabletop mount or a full-size tripod? What kind of mount works best for the viewing you plan to do? Do you need a super portable mount like a lightweight collapsible tripod, or is rock-solid stability your chief concern? There are two main categories of mounts: altazimuth and equatorial. Altazimuth mounts are very simple: You can move them up and down, right and left. They’re usually inexpensive and quite easy to use. The telescopes on this list—such as the Orion 10015 StarBlast and the Celestron 22065 AstroMaster—come with included altazimuth mounts. I suggest getting used to these mounts and then deciding, once you have more experience, whether you would like to switch to an equatorial mount. Equatorial mounts are designed with the rotation of the Earth in mind. They come in a variety of specific designs, and they are useful because they make it easier to track celestial objects as they change position in the sky. Many different factors go into user-friendliness. How easy and fast is the process of setting up the telescope? Are the provided instructions clear, or can you at least find a good online tutorial? How easy is it to locate and focus on things? Does the mount provide a stable (yet movable) base? To get a sense of your preferences, I recommend making a trip to your local astronomy club or planetarium if possible. This way, you can try out different telescopes and see what you like. I’ve noted in my telescope reviews some of the user-friendly features offered. For instance, the Orion 10015 StarBlast and the Orion 10016 StarBlast both come with some preassembly done for you. What do I mean by versatility? A versatile telescope can be used to look at things both in the sky and down here on earth. This may not be a concern for you if you’re simply hoping to observe celestial bodies. However, if you hope to use your telescope to spot whales, birds, or other wildlife in addition to stars and planets, then this ability may indeed be important to you. You might be wondering why this is a concern: Shouldn’t any old telescope be capable of viewing and magnifying things, regardless of their location? What does it matter if something is in the sky or on land? The problem lies in the design of most telescopes. Many models produce upside-down images. This is no big deal or astronomical observations—what does “upside-down” even mean in space really?! However, for terrestrial viewing, you obviously want images to appear right-side-up. An erect image diagonal corrects for this and allows your refractor telescope to produce right-side-up images. This is a nice feature if you like to bring your telescope on backpacking trips: Watch the animals and observe landscapes during the day, and turn your telescope to the stars at night. Telescopes such as the Celestron 22065 AstroMaster refractor on my list can be used to view terrestrial objects. So if you’re into both astronomy and, say, birdwatching, you’re in luck! In addition to your telescope itself, you will need a few crucial accessories. Many of these items may come included with the purchase of a telescope, so whichever model you buy, make sure to check what is (and isn’t) included. You might get some sort of case included for your telescope. It’s important to store and transport your telescope in a suitable carry case. It’s especially important to get a high-quality protective case if you plan to travel or camp a lot with your telescope. In a nutshell, eyepieces are the things that let you actually see the images created by your telescope. Swapping out eyepieces allows you to change magnification. Your telescope probably comes with an eyepiece or two, but you may want to pick up others once you get a little more experience. There are tons of different kinds of eyepieces that provide different features and capabilities—it’s impossible to go into detail on all of them here. However, my suggestion is to have a handful of eyepieces that allow for a range of magnification. If you only buy one, I really like Barlow lenses, which you use in addition to an eyepiece. Once attached, a Barlow lens doubles or triples the eyepiece’s power. Then there are filters, which also come in a variety of types and functions. Moon filters come in handy for viewing the Moon. They generally block glare and improve contrast, which greatly improves the image. There are also color filters. Which one you choose depends on what you’re viewing. For example, some filters reduce chromatic aberration, some bring out the details of planetary features (e.g. ice, clouds, polar caps, and dust storms on Mars), and some reduce the brightness of the sky, which is useful for daytime and early evening observation. Think about what you most want to observe, and then go from there. This website has a handy chart to help you pick out which filters you need. Again, this is something that should come included with your telescope. Usually, the included mount is just fine to get you started, but over time you might decide to upgrade. Do you want an altazimuth or equatorial mount? How do you want to aim your telescope? Are you interested in computerized GoTo technology? Or would you rather guide your telescope manually? How stable is the mount? Does it provide a solid surface? Can it support the weight of your telescope? What position do you prefer for stargazing? Standing, sitting in a chair, sitting on the ground? How lightweight, compact, and portable is the mount? Is this an important concern for you? You can find a more detailed guide to choosing a telescope mount here. Finders pretty much live up to their name: They help you find things in the night sky. Your telescope can only show you a small slice of the sky. Without the help of a finder, it’s hard if not impossible to tell exactly where it’s pointed and what you’re seeing. Finders come in a few categories. First, there are basic peep sites—these are low-tech and really require you to have a telescope with a wide view field. Second, there are reflex sights which shine a luminous red dot on your view of the sky. Align this red dot with whatever you want to observe. Third, there are finderscopes, which act like mini telescopes that allow you to aim your big telescope with even more precision. Of the three options, a solid, high-quality finderscope is my favorite, though reflex sights can also be quite good. Luckily, most telescopes come with some sort of finder, which will help you aim your telescope with precision. For instance, many Orion telescopes come with the EZ Finder II, a reflex sight. You can find a tutorial on this finder on YouTube. I suggest getting acquainted with the finder that comes with your telescope. As you gain experience, you can decide whether you not you want to upgrade. Some celestial objects are so obvious that they’re hard to miss—like the Moon. But what if you want to find a particular star, constellation, or nebula? How do you find specific objects in the night sky? And how do you know what you’re looking at? You’ll need a map, or rather, some star charts. Pick up a resource like the detailed Sky Atlas and learn how to use it. This atlas provides incredibly detailed charts showing over 80,000 stars. There are also software programs, such as Stellarium (available free) that can help you find your way around the night sky. If you find star charts confusing, there are plenty of resources to help you. Check out this video on how to use a star chart and this video on how to use star charts with a telescope. I do suggest familiarizing yourself with the night sky even before you get outside with your telescope. Look for constellations and planets, and learn how to use star charts and wheels to identify things. Doing a little research beforehand can make your life easier once you get going with your telescope. In my opinion, getting to know the night sky on a more personal level is one of the coolest things about astronomy. Our ancient and medieval ancestors knew so much about the movements and patterns of the stars and planets—but how many people in the modern world can name more than a handful of constellations? By learning about astronomy, we can take part in a truly ancient, universal heritage. Yes, as I’ve explained, aperture is generally the telescope’s most important feature. However, some people buy the biggest aperture they can afford, only to find that their enormous, unwieldly telescope sits gathering dust out in the garage. I’ll make an analogy to horseback riding, another of my favorite hobbies. When you’re a beginner rider, a well-behaved, reliable horse is what you need. You don’t need (or want) a fresh off-the-track Thoroughbred speed demon or an incredible show horse with an impeccable pedigree and the ability to jump 6 feet. Don’t buy more horse than you need. It’s the same with telescopes. Don’t buy more telescope than you need. Big expensive telescopes are wonderful, but the best telescope is the one you’ll use regularly. I’ve recommended telescopes that provide high quality as well as practicality. Most of the telescopes on this list weigh under 30 pounds and are excellent for at-home use. They are user-friendly enough that you will actually want to use them. The heaviest on this list is the higher-end model (the Orion 10135 SkyQuest XT10g)—perfect for slightly more experienced astronomers who want to get more serious. And even this model isn’t prohibitively huge or heavy. In sum, an aperture between 2.76” and 10” or so will serve you extremely well without breaking the bank or saddling you with an enormous telescope. Plenty of manufacturers emphasize the magnification power of their telescopes, as this is often immensely appealing to potential buyers. This is especially common with cheap telescopes, which use magnification as their main selling point. The quality of the optics and the size of the aperture are much more important. Magnification is only useful insofar as it produces reasonably clear images. Maybe a small blob into a slightly bigger blob is not really an achievement. So remember those two basic calculations I mentioned to help you determine the maximum useful magnification of your telescope. And note that those calculations will give you your telescope’s potential maximum, so if you’re viewing in less than ideal conditions, surrounded by light pollution, lower your expectations accordingly. This is a surefire way to give yourself eye damage. Don’t look at the sun directly, either with your eyes or through a telescope. Instead, you can follow this guide to learn how to project the Sun’s image on a white screen. You can also check out this longer guide which outlines the handful of safe methods for observing the Sun (and warns you against the many unsafe methods). Take your time when choosing a telescope. You might get lucky with an impulse buy—or you might not. You will likely have your own hopes and goals for what you can accomplish with your telescope. Make sure to do your research and choose a telescope that suits those goals. Also, make sure you know exactly what is and isn’t included with your telescope purchase. How many and what kind of eyepieces? A quality mount of tripod? A finder? A power supply, if required? If possible, visit a planetarium or an astronomy club. Talk to people about their experiences, their preferred telescopes, and the things they’ve learned. Once you’ve bought your telescope, again, there’s no need to rush. Be patient with yourself as you develop a whole new set of skills, and once you do get an awesome view, take the time to savor it. Even if it is your first scope, it’s better to get a real telescope of good quality rather than a cheap plastic toy, which will likely just frustrate you and discourage you from pursuing astronomy any further. However, there are certainly exceptions to this advice. The least expensive telescope on this list is the Gskyer refractor. It’s a good telescope that will give you many hours of enjoyment out in your backyard. But unfortunately, three-figures is a lot of money for many people, even if it is good value on a great telescope. So, what if the Gskyer is out of your reach? The night sky belongs to us all. 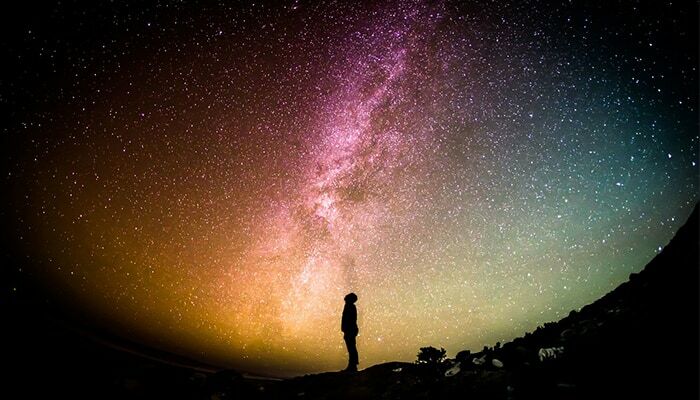 For millennia, people have been looking up at the stars with a sense of wonder—and for most of human history, they did so without telescopes. So look up at the sky. It’s incredibly simple, but a basic curiosity about the universe will take you far even without a telescope. Look at the Moon, which is perfectly visible to the naked eye, and learn its phases. Even in a big city with lots of light pollution, you can see the Moon and learn its patterns of movement through the sky. The Sun is another good thing to observe (though don’t look at it directly!). Learn its patterns too, and learn about the solstices and equinoxes. Consider buying a simple star map indicating the constellations and get to know them. You can also look into astronomy apps and software such as Stellarium, StarWalk, Google Sky Map, and Exoplanet. Learn some constellations, and learn the stories behind their names. If you’re able to visit a place with less light pollution, you’ll find even better views of the night sky. 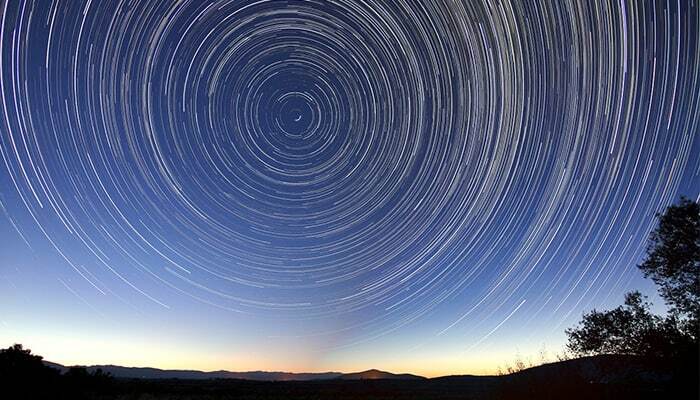 Stargazing is easy to integrate into a camping or backpacking trip. Check the International Dark-Sky Association website to see if there are any dark-sky locations near you. You can also try satisfying your curiosity by visiting Astronomy Picture of the Day. True to its name, this site shows you a new breathtaking picture of the cosmos every day, plus a short explanation of the image by a professional astronomer. Other astronomy sites include NASA, AstroBin: Home of Astrophotography, and Astronomy Magazine. These resources can keep you inspired and help you educate yourself even if you don’t yet have access to a telescope of your own. Join a local astronomy club or become involved with a local planetarium. If you have a planetarium in your area, or a club that hosts stargazing events, then you should be able to attend events and try out various telescopes. This can also be a great way to share this hobby with others and enjoy socializing. Buy a pair of binoculars. A good pair of binoculars can be quite expensive too, but they generally run less expensive than telescopes. A decent pair should give you a closer view of the Moon. Look for a used telescope. Of course, there are always risks that the telescope may be damaged in some way, but you can also score an awesome deal. Take your time, do your research, and if possible, seek advice from a trusted friend with astronomy experience. Save up at least $75-100 to buy a decent starter telescope. Again, I really don’t recommend dipping too far below this price point, since the drop in quality could end up discouraging you from pursuing astronomy. But if you can save around $100, then you can afford the Gskyer refractor, which is a solid telescope that will get you started with astronomy. Congratulations! You’ve taken an important step to forming a deeper and more personal connection to the universe around you. Now here are a few tips to help you get the most out of your telescope. Get to know your telescope. Once it arrives, assemble it carefully and read all the instructions. Be patient as you learn your way around. If you have a reflector telescope, make sure that it is well-aligned: Collimate the mirrors regularly. There are devices out there that can help make collimating easier if you struggle with this. Here is a guide to collimating (or aligning) a Newtonian reflector telescope. It gives a lot of detail, complete with pictures, to help walk you through your first time collimating. Here is an additional guide to collimation, written especially for beginners, also including pictures and diagrams. Instead of viewing this process as a pain, try to enjoy it as a challenge, and as a chance to learn more about the inner workings of your telescope. Purchase high-quality eyepieces. You’ll receive some basic eyepieces with your telescope which will do the job just fine at the beginning. When you decide to upgrade, go for quality. A solid middle-range eyepiece will serve you much better than a handful of super cheap ones. Avoid over-magnifying: Don’t push your telescope to a higher magnification than what it can realistically handle. This might be tempting, but you’ll just end up with blurry images. Remember that the maximum magnification for a telescope is equal to roughly 50x the aperture (in inches). To reach this maximum, however, you need to optimize your conditions, by avoiding light pollution as much as possible. Whether you’re using a telescope or just your eyes, you’ll get the best views under truly dark skies. How to get away from light pollution? The International Dark-Sky Association is your go-to resource for finding the best stargazing conditions across the world. It lists a number of International Dark Sky Places, which it sorts into several categories (e.g. Reserves, Parks, and Communities). In 2017, the Sawtooth Mountains of Central Idaho became the first Dark Sky Reserve in the United States. There are many, many more parks and communities around the world, so use this website to check if any are near you. In general, any of the large wilderness parks will provide dark skies for you. So grab your telescope and head out on a road trip! If you don’t want to leave town, you can also try getting to a higher elevation. For example, if you live in a multi-story apartment building, do you have roof access you could use? Getting up high helps reduce the effects of light pollution. Even if you live in a big city and prefer to stargaze from home, take heart: Your telescope is a powerful piece of equipment. Even under challenging conditions, it can produce some pretty mind-blowing views. For more on urban stargazing, check out the advice here, which will help you figure out how to set up your observing site and make the most of your equipment. For even more tips on coaxing the best possible views out of your telescope, watch this video. Protect your telescope’s optics (lenses and mirrors) and clean them only as needed. Use lens caps to keep lenses clean and dust-free while you’re storing them. Keep your eyepieces in proper containers (even small plastic bags work pretty well). 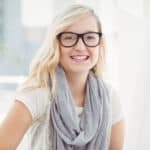 Do your best to avoid smudging up your lenses. Store them well (in containers) so that they don’t gather dust. Avoid touching mirrors or lenses since your skin oils damage optical coatings. You should also be wary of cleaning lenses or mirrors too often. Why? Because even careful cleaning can leave little micro-scratches (known as “sleeks”) on the surface. Over time, too many scratches can do more harm than a little dirt. Cleaning your lenses and mirrors should therefore be a rare occasion. Here’s how to clean a lens when necessary: To dust the lens, you can use a soft camel hair brush. Be very gentle, and store the brush somewhere clean. If the lens has harder-to-clean dirt or a stain, then you’ll need lens-cleaning solution such as isopropyl alcohol or methyl alcohol. Put a bit of cleaning fluid on a soft cloth or pad (not right onto the lens), and gently apply the cleanser. As for cleaning mirrors, once again the best solution is to store your telescope properly and avoid having to clean them in the first place! However, if you do need to clean a mirror, you’ll have to learn how to disassemble your telescope to do so. Check the instruction manual or find an online tutorial on how to do this for your specific telescope. Then it’s time to clean. In many cases, water is sufficient to clean a mirror. You can read about how this process works here—there are a few important details to bear in mind (for example—take off any rings or bracelets before doing this since they might scratch the mirror), but it’s usually a simple enough procedure. Once clean, the mirrors can be placed back and the telescope reassembled. Don’t forget to collimate to realign your mirrors properly! If you would like to gain advice from other astronomers, or if you would like to make this a social hobby, then you can look for astronomy clubs or groups near you. The Astronomical League is a U.S. group that maintains a list of astronomy clubs, organized by state. You can easily search for one in your area. If you live in a university town, check if the university’s Astronomy Department hosts public-facing events. Many towns also have planetariums, which typically host star shows and presentations, maintain educational exhibits, and often hold summer or weekend programs for kids. 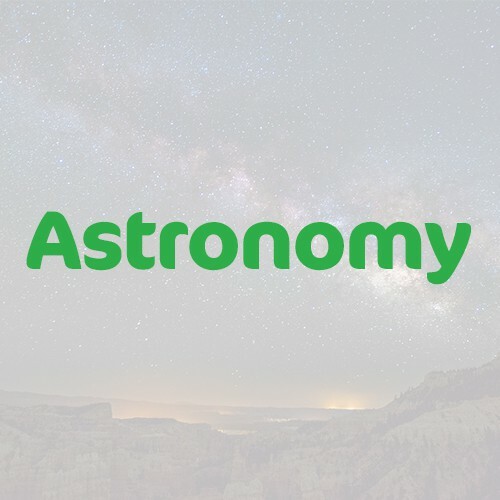 Go Astronomy maintains lists of planetariums in the United States, United Kingdom, and India. Torun, Poland is also an awesome place to visit if you love astronomy: Stop by its planetarium and the Nicolaus Copernicus House Museum. Hopefully you are able to find a group of likeminded astronomers in your region. These groups are a fantastic resource for new astronomers and first-time telescope owners—I personally became fascinated by the night sky thanks to stargazing events held by a local club, and over the years, I’ve received some valuable advice on virtually every aspect of astronomy. Astronomy is such a fascinating subject—I’m constantly amazed at how much more there is to learn. Yet at the same time, a little knowledge and experience can go a long way. When I bought by first telescope, I was amazed at how quickly I was able to see the Moon in glorious detail. Now, years later, I continue to learn new things, locate new objects, and grow even more in awe at the vast expanse of the universe. I hope you enjoy this hobby as much as I do—there’s nothing more relaxing than a night out on the porch, sipping hot chocolate and staring out at the sky. Hey I’m Jenny! Thanks for checking out my guide to the best telescopes 😀 If you’re looking for a hobby that’ll give you a feeling of awe, appreciation and insignificance all at the same time, Astronomy is for you! Hopefully I’ve given you a taste of how to get started – now it’s over to you!